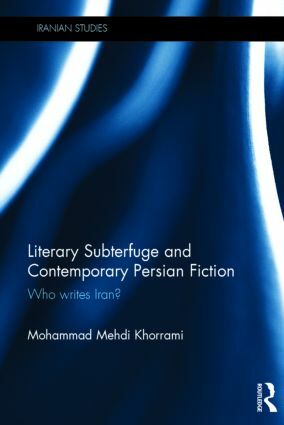 The main focus of Literary Subterfuge and Contemporary Persian Fiction is to identify components and elements which define Persian modernist fiction, placing an emphasis on literary concepts and devices which provide the dynamics of the evolutionary trajectory of this modernism. The question of ‘who writes Iran’ refers to a contested area which goes beyond the discipline of literary criticism. Non-literary discourses have made every effort to impose their "committed" readings on literary texts; they have even managed to exert influence on the process of literary creation. In this process, inevitably, many works, or segments of them, and many concepts which do not lend themselves to such readings have been ignored; at the same time, many of them have been appropriated by these discourses. Yet components and elements of Persian literary tradition have persistently engaged in this discursive confrontation, mainly by insisting on literature’s relative autonomy, so that at least concepts such as conformity and subterfuge, essential in terms of defining modern and modernist Persian fiction, could be defined in a literary manner. Proffering an alternative in terms of literary historiography; this book supports a methodological approach that considers literary narratives which occur in the margins of dominant discourses, and indeed promote non-discursivity, as the main writers of Persian modernist fiction. It is an essential resource for scholars and researchers interested in Persian and comparative literature, as well as Middle Eastern Studies more broadly. "It successfully demonstrates how to write a history of literature based on the formation and evolution of literary concepts and devices and not a chronological historiography of literary productions. Literary Subterfuge and Contemporary Persian Fiction: Who Writes Iran? should be on the reading list of all graduate students in Persian and Middle Eastern studies."